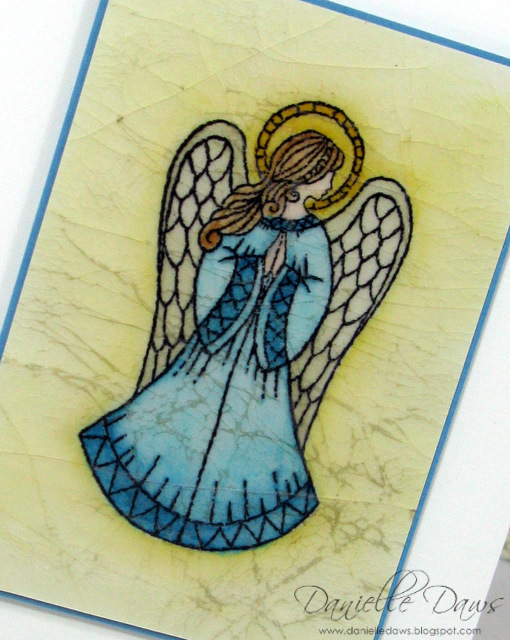 She's been watercoloured and then embossed to create the cracked glass effect. I'm entering this in TSG79 ~ There She Goes Getting 'Gifty'. I've had people comment on my "style". I don't think I really have a style. I just do what I did for this card... I spend a while on the focus image, decide what card to mount it on, stare at it for several minutes... then think "I really don't know what else to do with this... bugger it, I'll photograph it anyway..." lol... Is that style?? What a beautiful image and the perfect technique for it too! You're gorgeous, Danielle - and so is this card! It's amazing; as the other girls have said, you've matched the technique with the image perfectly. I can see why you fell in love with that stampset! Between the two of us we'll start a retired stamp trend. I love this set - and what you've done with it - totally gorgeous. What a perfect technique for this image! Beautiful card! Oh WOW a beautiful card for a gorgeous stamp. Using the cracked glass technique was inspired. I love it - adding anything else would have been too much! Gorgeous! Great job with this technique! Introducing Bronte... Our (Now) INSIDE Cat! Our House... The Finished Product! Get A Jump On Your Jingle! 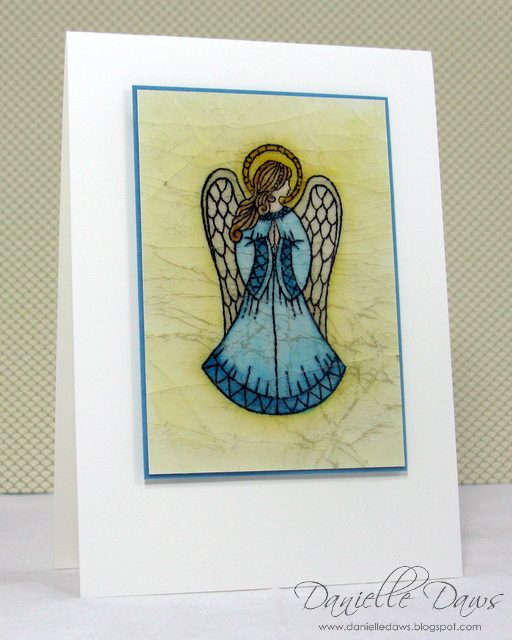 Sketch Challenge At We Stamp For Lara! Yet Another Challenge Card For CASE Study #13! CASE Study Challenge #13... Again! Cupcake Challenge At We Stamp For Lara! JAI42 - A Sketch Challenge!